Did you know that homes without security systems are three times as likely to be robbed as homes that do have a security system in place? If you’ve been on the fence about setting up a security system for your home, that fact might just change your mind. Many people are hesitant about investing in a home security system because they think they’re too expensive. What they don’t realize, though, is that you can bring the price down dramatically by choosing to build your own home security system. Yes, you really can build your own home security system – and we’re talking a real system, not a “Home Alone” style set of traps around your property! Read on to learn about the steps you need to start building your own home security system. Why Build Your Own Home Security System? When you build a home security system yourself, you also get to make use of cool tech advancements that would be very expensive if you bought them as part of an alarm package. For example, you can purchase accessories that are compatible with your iPhone and allow you to monitor your home remotely. Okay, you’re starting to come around to the idea of building your own home security system. How do you actually do this, though? What does it take to put together a great security system? The first step is to think about your unique needs. What specific security concerns do you have for your home? Do you have pets? If so, you probably shouldn’t invest in motion-activated equipment. 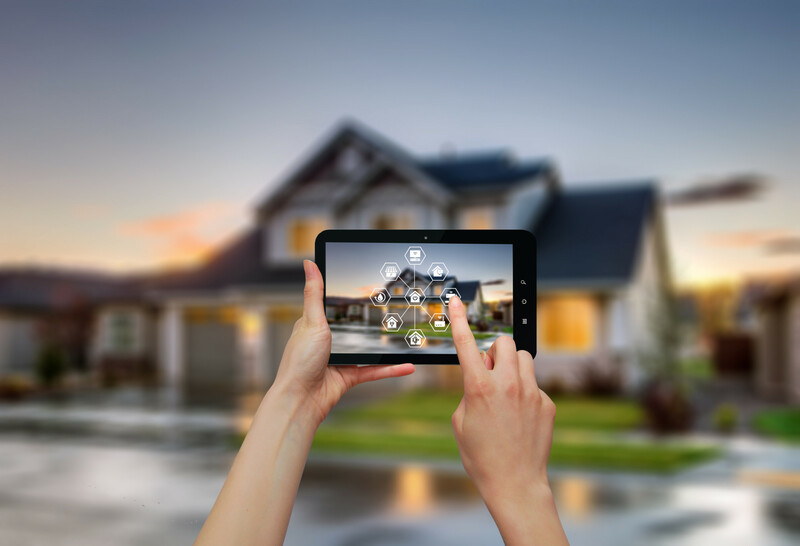 Do you want a smart home system that lets you control everything through an app, or are you less concerned about having access to the latest new technology? Remember to also think carefully about your budget and what you hope to get out of your security system before you start shopping for equipment. The next step is to choose the specific equipment you’ll use to keep your home safe. Are you going to invest in motion sensors? Cameras? If you are going to purchase cameras, this blog recommends ones that connect to Wi-Fi and allow you to monitor home remotely. That way, you can catch a robbery in action instead of trying to identify the individual later. Remember to consider upgrading your locks, too. There are lots of smart locks and standard locks out there that will act as a good first line of defense for protecting your home. When it comes to shopping for security equipment, it’s a good idea to shop online. You can almost always find better deals shopping online than shopping in a store. You also don’t have to worry about dealing with any pushy salespeople trying to convince you to buy things that no one really needs. Technically, monitoring is optional. Some alarms will just set off a loud noise when they’re triggered to scare the intruder off. If you want to be able to alert the police right away, though, it’s best to invest in a monitoring device for your system. A monitoring station helps to keep track of things when you’re out of town. It also sends notifications to your smartphone or email to let you know when an alarm has been set off. Keep in mind that you may have to search a bit to find companies that monitor DIY systems. They’re definitely out there, but a lot of companies require you to purchase their equipment before they’ll monitor your system for you. Once you’ve chosen a monitoring device and picked up all your equipment, it’s time for the fun part – installing it all! Be sure to also read through the installation instructions before you begin the process. This will help you avoid a lot of frustration and confusion later on. As you’re installing your system and deciding where you want to place your sensors and other pieces of equipment, it’s important to make sure you’re thinking like a burglar. Take a walk around your house and identify the weak spots that seem like prime opportunities for a burglar to get in. Then, make guarding these spots a top priority. If there have been other break-ins in your neighborhood recently, find out where the weak point was in your neighbors’ homes. This will help you ensure you’re not victimized in the same way. As you can see, it’s not as hard as you might have thought to build your own home security system. Taking the DIY approach is also much more affordable than buying a system from a door-to-door salesman. Do you want to learn more about home security? Are you interested in learning about ways that you can make your home security system more effective? Check out this article on the coolest security gadgets on the market for some great ideas on where you should invest your money.